Unfortunately, Brussels does have a reputation for being slightly dull but on arriving here I felt that to be largely an injustice. The architecture is stunning, the huge amount of parks and green areas, museums, monuments, concerts, restaurants, bars and live music venues reflect the unique importance given to student and family values alongside a multitude of cultures. The city itself is relatively small, like any city there are areas to be avoided such as hanging around railway stations and a few districts to the north, overall though it has a charm that is unique and enthralling. The public transport system is efficient and not too expensive with buses, trams and an underground. It is a cycle friendly city with an increasing number of cycle lanes as well as bikes to rent http://en.villo.be/ with stations across the city. I happily cycle around the city to my various classes. People are unobtrusive but friendly if you ask for help, whilst the official languages are Dutch and French, it is said that English is the most spoken language in Brussels and the majority of people speak at least a little. The initial challenge is to find accommodation, whilst sharing a flat or ‘kot’ as they call it here is an option, we wanted to live alone. We researched the various districts with the help of a friend who had moved here several years earlier, popular and safe areas include Etterbeek, Ixelles, St Gilles and a little further from the centre Woluwe St Lambert, Woluwe St Pierre and Uccle. This search is not without challenges, particularly if you are still in the UK at this point, flats are left on the site long after they have been taken, most accommodation comes unfurnished which invariably means no fitted kitchen and on occasion the photo is randomly placed and is not the apartment you will see. The best option is to come to Belgium, make an appointment with an agent who can take you round as well as individual appointments with private owners. Much of the accommodation is stunning and a pleasure to view with high ceilings, balconies or terraces. When you do find a place to call home, the next step is to pop along to your local ‘commune’ or town hall to register for your Belgian identity card. This can take several visits and may require a sense of humour when you are asked for more and more documents but it is all worth it in the end when you finally receive your card. A little knowledge of French could be useful for this part of settling into Belgium. The majority of language schools here don’t employ teachers, they work on a self employed basis with the schools as their clients. Although initially this can be a little daunting as you need to set yourself up as self-employed or ‘indépendant’ it does give you the flexibility of choosing what type of classes you prefer to teach, working for more than one school, taking holidays when you choose to and managing your time as you please. On the down side however, you never really know how much work you’ll have and inevitably there are peaks and troughs. To register for a BCE (Banque Carrefour des Entreprises) number, showing your self employed status, you need to have a recognised university degree and to pay an initial sum of around 70 Euros to a public business coordination centre . Recent changes in legalisation mean that teachers are also now required to have VAT number, this can be acquired from the Administration Générale de la Fiscalité by completing a simple form. Increasingly, paperwork and administration is available in English but a knowledge of French or Dutch is really helpful to fully understand what is going on. There are several language schools in Brussels, the best thing to do is visit their websites and send your CV explaining your situation. Teachers come and go so it is worth persevering if at first they don’t appear to have any work for you. A few of the schools are involved with ‘Actiris’, the unemployment agency in Brussels which offers free individual classes to job seekers and even more free classes when they find work. Perhaps as a result of this, for the first couple of years I found myself teaching solely one-to-one classes focusing on business English, general English and of course English for job seekers – writing CVs, cover letters and interview skills. Satisfaction guaranteed when the students find work! It is worth mentioning here that not all the schools have language teaching resources or books, they do generally provide a photocopier and internet connection but this is not always guaranteed. I’ve gradually built up my own resource bank and with internet resources it’s really not an issue. As expected in such a multi-cultural city the students come from diverse backgrounds and cultures making teaching all the more interesting. There is also the possibility of working for the European commission although finding an opportunity is less easy, some teachers work ‘in the black’ for tax free money where they would be charging around 20 to 30 Euros per hour. In contrast, most schools pay between 20 and 25 Euros per hour, a little self discipline is required to put a percentage aside to cover your tax at the end of the year. Depending on how many hours you work, around a third of this should more than cover your tax charges. Teaching English in Brussels will not make you rich and as with any country, the cost of living depends on your lifestyle. Coming here from Scotland, the biggest differences were the high price of accommodation and also coming to terms with a lower salary. As I already mentioned, public transport is cheaper as is alcohol so it is not all bad news! Supermarkets can appear expensive, there is not the same level of competition as in Britain to keep to prices low. This depends very much on the time of year with fresh food, if you buy local produce which is in season then of course it works out much cheaper. If you are not teaching in the mornings it is worth checking out the local markets – also a great way to practise your language skills. Many Belgians drive to Lille in France, about an hour away, or to Aachen in Germany, to do their bulk supermarket shopping as it is significantly cheaper. Eating out varies, there are some really good restaurants at average prices and some not so good over-priced ones. Avoiding the city centre directly surrounding Grande Place and any waiters who try to drag you in off the street is a pretty good guideline to follow. Tipping is generally not expected as service is included in the bill but it is always appreciated and worth doing if you get particularly good service or intend to go back one day. Part of the attraction of teaching English in Brussels is of course its proximity to the rest of mainland Europe. The usually efficient train service means you can be in Holland, Germany, Luxembourg or France in next to no time and most trains will take bikes too. To travel slightly further afield Brussels has two airports with low cost airlines flying from Charleroi airport, about an hour from central Brussels with a regular bus service there and back. However, whilst this may be the attraction initially, there is also plenty to explore in Brussels and Belgium itself. The interesting political situation with the Walloons, French speaking Belgians, in the South and then the Flemish, Dutch speaking Belgians, in the North adds to the diversity of the country. There are many beautiful towns and cities to visit, from the touristic Bruges in the north to the perhaps lesser visited yet equally as charming Liege in the South. The small towns and villages also hold a certain charm and there is certainly plenty to explore. 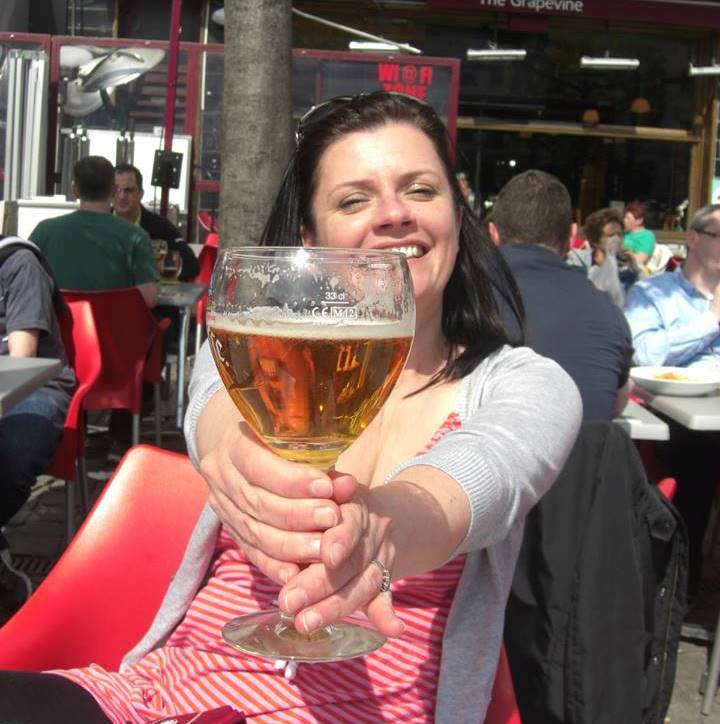 It goes without saying that Belgium is renowned for its wonderful beer, more often than not a perfect compliment to traditional Belgian dishes such as mussels and chips, carbonade – beef slowly cooked in ale, or stoemp – a kind of mashed potato dish with other yummy things added. Then there is the delicious chocolate, waffles – the smell of which will follow you around the country and oddly enough, Australian ice cream which seems to be available everywhere. Brussels comes alive in the summer with outdoor concerts, festivals, a temporary beach by the canal, cafes spilling onto pavements, outdoor cinemas and endless brocantes around the city. Fascinatingly, a brocante involves everyone in a certain neighbourhood putting all their unwanted belongings from clothes to old record players, out on the street to sell. It is great for neighbourly spirit, recycling unwanted goods, finding an occasional bargain and there is usually a burger van, crêpe stand and again, oddly enough, a guy selling mojitos keeping everyone happy. All in all, Brussels has thrown plenty of challenges in my direction but overcoming each one and finding my place in this charming city which I have grown fonder of as each season goes by has been a pleasure. I may not stay here for ever but for now I am happy and even proud to be able to call it home. If you have any questions for Victoria or also have experience teaching English in Belgium and would like to add some additional advice for prospective teachers please leave your reply in the comments section at the bottom of the page. When I started my 5 week TESOL course back in 1997 I had no idea of the journey it would enable me to take. I was certainly not aiming to be teaching in the capital of Europe several years later and at that point, nor would I have chosen to be doing so. Having finished my TESOL, I spent a year in Moscow learning the ropes and exploring the intricacies of the English language before leaving for Italy to spend a couple of more years teaching. This experience led me to volunteer as an EFL teacher for a couple of years in Rwanda before returning to Italy for a short time. All this time spent teaching motivated me to continue with my own learning curve, I completed my degree in psychology before going on to graduate with an MA in TESOL from Brighton University. Where to go from there? With no specific plans I jumped at the chance of moving back to Europe, newly married, my husband's offer of a job in Brussels seemed like an ideal opportunity for both of us to start work overseas, for him to embrace learning French and for me to put my knowledge of the language into practice again. I’m also a teacher of EFL but I’m not a native speaker. Could you tell me if there are chances for non-native speaking EFL teachers in Europe? I’m from Portugal and I would really love to experience teaching in a foreign country. could you please recommend any links about teaching jobs? I haven’t lived in Brussels for a few years now, so am a little out of touch with the situation. I’m sure a quick Google search will bring up names of language schools, I recommend you then email them directly about the possibility of work. Unless the situation has changed dramatically since I left, you may find yourself working for a few different organizations in order to increase your working hours. fellow Scot here, I am taking a gap year and doing my TESOL course soon, was wondering if you need a BA to teach in Belgium? When I was living there you needed to register as self employed, and in order to do this as a teacher you had to have a recognizable degree so yes, I have a BSc and MA so had no problems. I am not sure what the situation is now, maybe things have changed. Hope it all goes well for you. I’m not really sure about teaching in the international schools but I would imagine that having experience teaching in secondary schools is a real advantage, especially alongside your teaching degree. I would advise you to contact them directly, check out the website and see if there are any vacancies or even pop by with your CV and cover letter if you’re in Belgium. I doubt the lack of TEFL qualifications would be an issue with your experience, that’s more for teaching English as a foreign language. Good luck with everything, Victoria. I recently moved to Brussels & have now settled in. I have done a great deal of research online but feel I need to talk to someone who has went through the process themselves. ‘Daunting’ is exactly the word I’d choose when looking to be self-employed here! I heard that the payment every 3 months can be unmanageable & that there is a registration fee of around 1000 euros just to get going – is this a myth? I have been offered some work already but am a little apprehensive about the financial consequences of being self-employed – I imagine once I get going I will be able to manage the tax but did you have to pay a lot of money upfront? I understood (though I’m not sure if this is correct,) that for the first 3 years the amount of income tax you pay is standardised… well, I’m sure that my income will be below certain thresholds so the thought of being trapped in a higher tax band for three years makes me uneasy. Some clarification would be really appreciated. Thanks so much for your help, sorry for the bombardment! It’s great that you have already found some work, you’ll just need to get your BCE number sorted out in order to get paid. Getting that is not difficult from what I rememeber, nor expensive – I think I paid around 70 euros. Being self employed is a challenge, it’s feast or famine in terms of work and you do have to be extremely organised in terms of putting money away for tax and so on. I have left Brussels since writing that article and am still getting bills for tax so it’s kind of on-going. Given the choice I dare say that most teachers may choose not to be self-employed but sadly it isn’t really an option in Belgium. I loved your article. I want to know how you went about finding a esl job in Brussels. I am interested in teaching english there and would also like to improve my french. How did you go about teaching English as there are not a lot of jobs for ESL teachers. Hi Tammy, Thanks for your message. You’re right that there are not a lot of jobs but if you get yourself a BCE number and go round the schools you should find something. It’s all a bit uncertain in terms of hours being self employed of course, some weeks are very quiet and others leave you overwhelmed with teaching hours. Good luck! Victoria. Thanks for the article. I am a native English (USA) speaker. I am living in Brussels working as a Yoga teacher. I am curious to know more about teaching English to speakers of other languages. Are there any entities that offer TEFL or TESOL in Brussels? What would you recommend, and do you know of the types of schools that would be in need of English teachers? If I can, I would like to start in the very near future. I love the English language and also immensely enjoy readiing and writing! I have a bachelor and Master degree in commerce and thinking to pursue TEFL Course. I am staying in Belgium and would like to teach English in Belgium . So whether I would get a job after completing TEFL Course although I don’t have any teaching experience. Hi Jim, Thanks for your response to the article. I think that the decision about teaching is very much yours, you would need to have a basic TEFL or TESOL (4 week course) qualification but there’s no need to speak another language. I do speak French but never with my students and many of them come from around the world anyway. Hope this helps, Good luck! Victoria. Great article. Victoria was my teacher last year in the summer when I did a week intensive course at the English Academy. Victoria was a fantastic teacher. Thanks for the lessons and maybe we will encounter each other again next summer. Many thanks, hope all is well with you! I’m also a teacher of EFL but unlike you I’m not a native speaker. Could you tell me if there are chances for non-native speaking EFL teachers in Europe in case they have a CPE and a CELTA certificate, for example. Thanks Victoria for sharing your TEFL story. 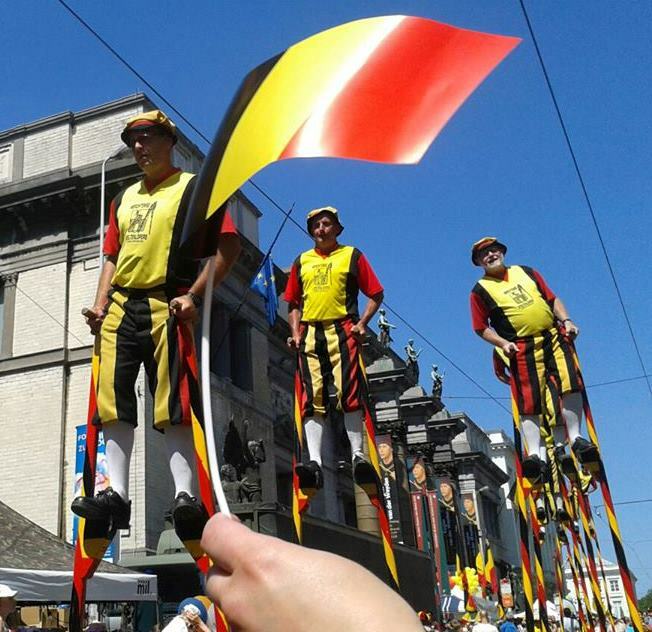 It is interesting to know about Belgium life style and the experience you have gone through. Maybe one day I will tell a TEFL story. I also like to teach in those areas. Very nice article! As a Belgian citizen it is good to hear how people experience the real life in our beautiful country. 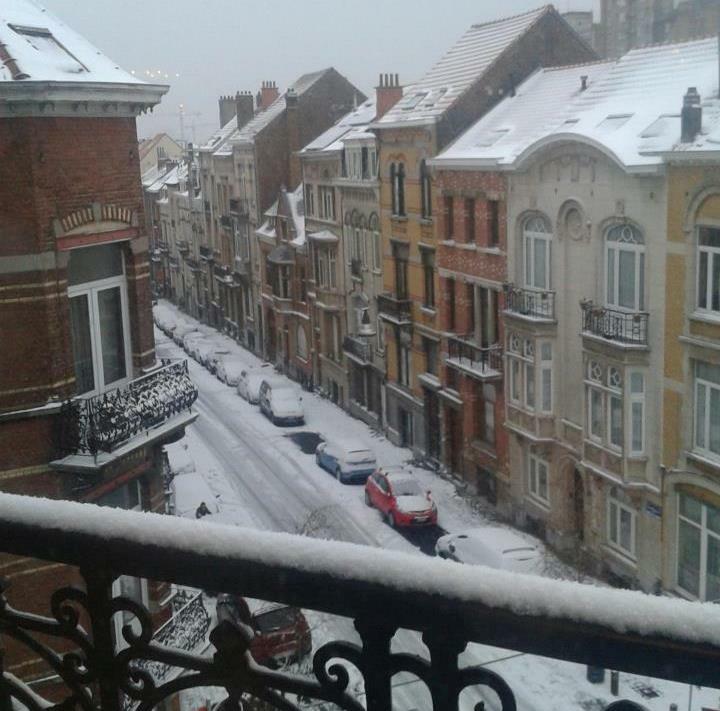 I’ll be starting a TEFL course in a few weeks and who knows, maybe in the end it will take me back to my old home, Belgium! I found this really interesting as i am planning a visit to brussels soon.